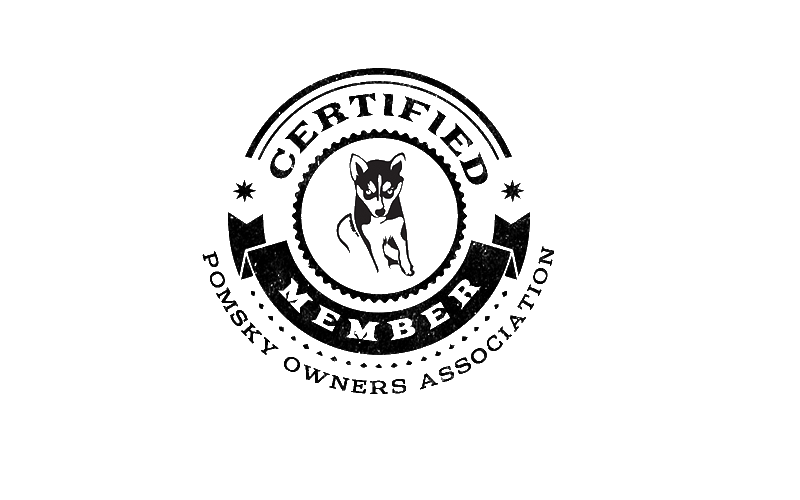 Here at Pristine Pomskies, we uphold a strict breeding standard and all of our animals are inside pets. We breed to achieve amazing temperament and health first and adorable markings second. All puppies are raised inside our home and are socialized throughout each day. We make sure every puppy that is adopted is a perfect match for its new family. Our relationship with adopters begins with a phone call and lasts the entire life of the dog. We are always here to answer your questions and concerns about your new family member. This is a hobby for us since we only own 2 huskies. This allows us to spend more time matching puppies perfectly since we only have a few pomskies per year. We pride ourselves in ensuring a positive experience! Puppies from Pristine Pomskies come with a 2 year health guarantee, thorough vet examination, first round of puppy shots, health record, deworming, puppy food, toys, harness, leash, and blanket with their mother's scent. Microchips are available upon request.